Okay, I am caffeinated up this morning which means it is time for mini-rant. And it shall be about my second favorite topic, after security, well, okay third after food too, and wait, I like bugs. Ugh, no more coffee. Books. I love books. As you may know if you get through a few of my posts, I read my first popular Brazilian novel over Christmas break. I enjoyed it immensely. So, while waiting for a young lady to show up to interview for my US college, I went to Saraiva bookstore to see if I could find any of Daniel Galera's prior novels. Mind you, I went to a regular Saraiva (Eldorado Shopping) not a Mega-Saraiva so this is not one of the biggest bookstores. I walked around the store two times and could not find fiction. I browsed a couple of the tables at the front--all translated foreign literature. Aren't we done with 50 Shades yet? No? Anyway, finally I noted the 8 stands that were titled "Literatura Estrangeira". Foreign literature. These are all books translated into Portuguese from English (mostly) or other foreign language. Lots and lots. Nora Roberts, Tom Clancy, all are translated. Finally I peered around the corner and spied the three racks of "Literatura Nacional." Three. I had to stealth a photo because the sales person was beginning to suspect me of something at this point. As I looked through the books, I noted that none of the Jabuti finalists were in the racks. Not one of the São Paulo award winners. Not one Daniel Galera. Jorge Amado was there. And several other classic novelists, by the way, but not so many contemporaries. I need to understand Brazil's publishing industry. Is it simply not worth spending money on upcoming new authors here? Do Brazilians, in their five books a year average, only read international authors? Are all the local bookstores like this? I haven't been to Cultura in a long time but it's on my list of projects now. Agreed! It's frustrating. I tried to find Barba Ensopada at our major bookstore last week and not only did they not have it, but none of the staff had heard of it, or even the author. I can get it on Kindle through Amazon Brazil for nearly R$30, which I might do. The only place I found it was through the Companhia das Letras site: https://companhiadasletras.paginaviva.com.br/carrinho.cfm?id_ProdutoLoja=9788535921878. It's $39,50. Sounds like Kindle might be the best deal. Livraria Cultura is a bit better but there's still a lot of room for improvement. I also sometimes look for modern Brazilian literature and it's not an easy task. Just look at their website (www.livcultura.com.br). 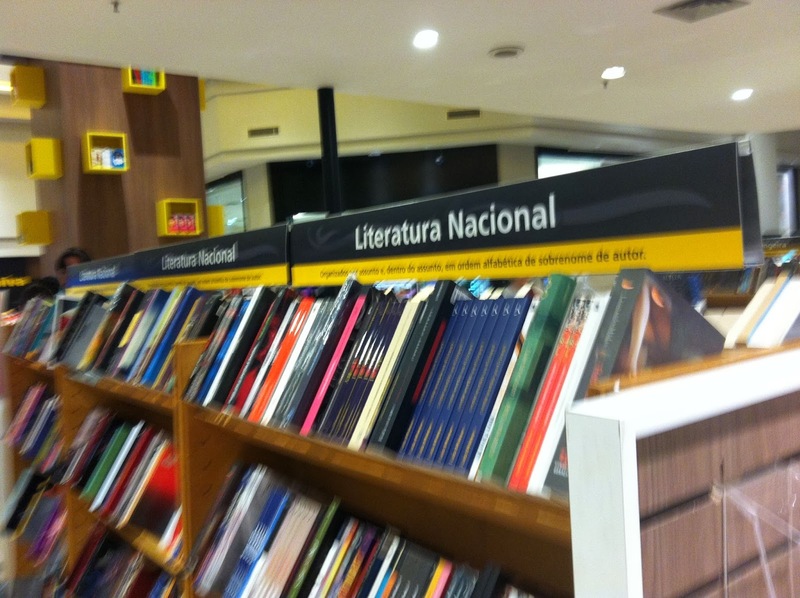 The section "Livros Nacionais" has books published in Brazil but many of them are translations of foreign books. You have to dig deeper to find "Literatura Brasileira" and then avoid all the classics. Livraria Cultura will have whatever you're looking for (and they can order it for you if they don't), it's just not that easy to find. It seems that most of what they sell are the international best-sellers and the classics that are required by school curriculums.